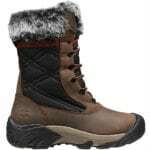 I’ve been wearing Emu Australia for a few years and love how well made and fashionable they are while at the same time keeping my feet nice and warm. Once my feet get cold, it’s really hard to warm up, and shearling is wonderful for preventing that. 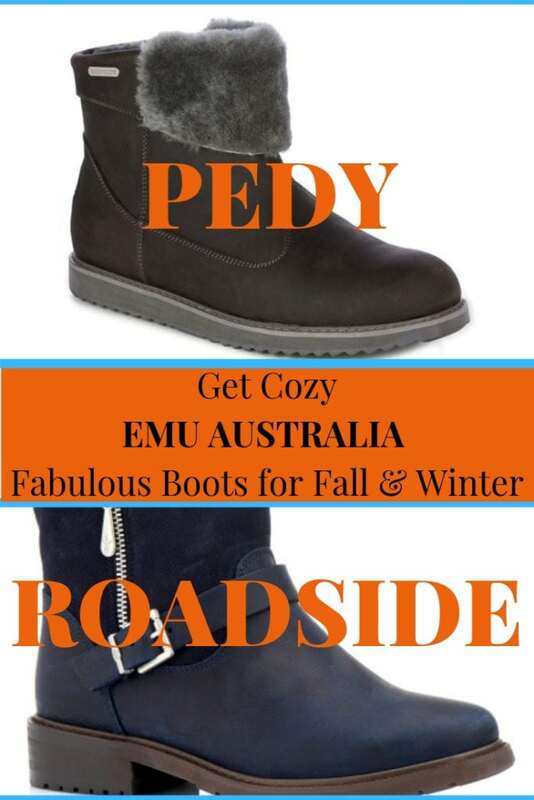 EMU Australia boots come in so many styles that are unique, and not like the more clunky shearling boots (which I also really like). These are more appropriate for dressier occasions. 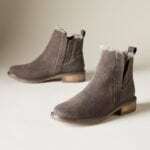 The Pedy Boot is luxurious and beautiful. 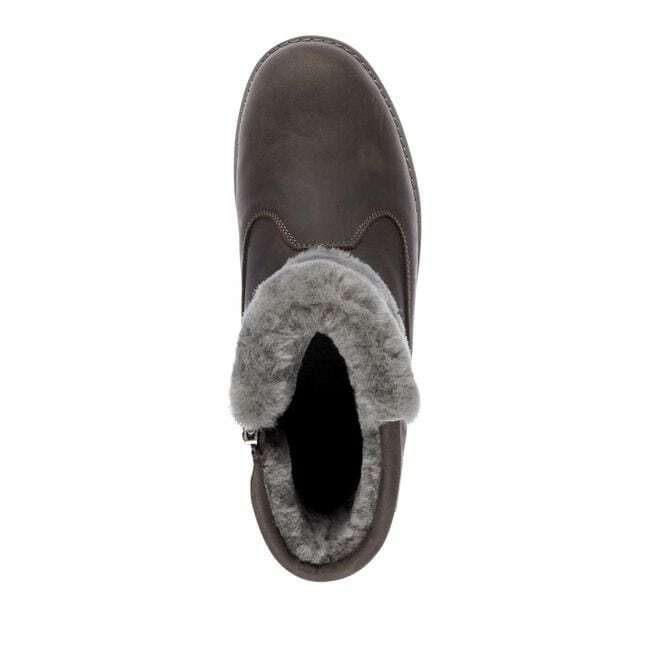 I love the plush gray shearling that completely lines the boot and adds style with the cuff at the top. I’m also a big fan of short boots, they keep my feet warm, but I don’t overheat. Also, I find them more versatile and easier to match up to my clothes. 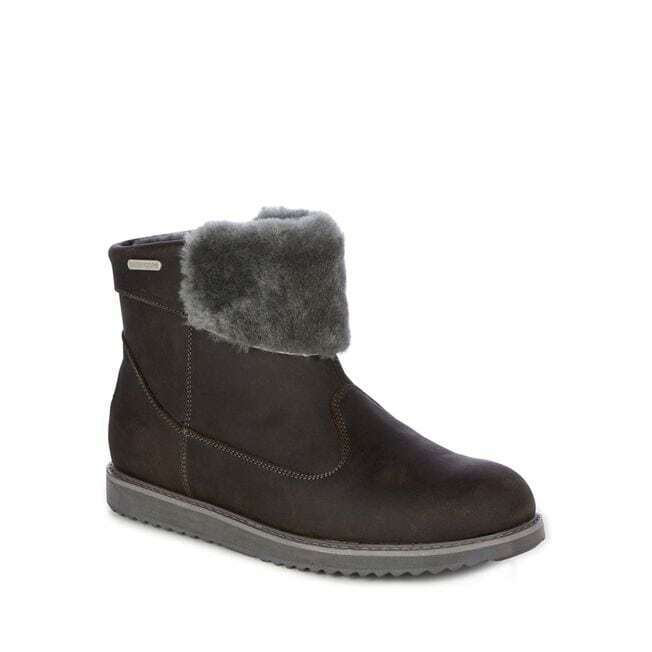 The Pedy boot looks cute with jeans, leggings, and skirts, you can dress them up or down. The metal on the side zipper is silver, which looks great with the gray and black. 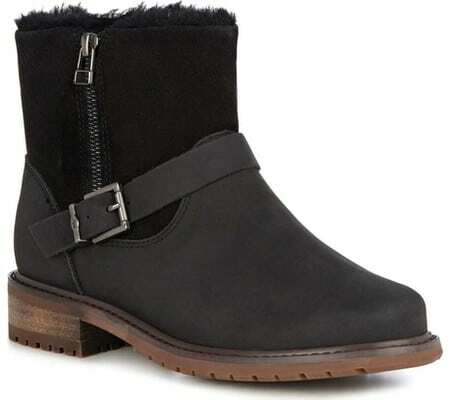 The Roadside Boot has an edgy biker boot look. The top half is suede and the bottom is a smooth leather. The buckle and side zip are gunmetal silver. On the inside, the top part is shearling and the bottom is lined with merino wool. 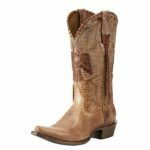 The contrasting brown sole and heel add to the look. Both boots are so comfortable and these are probably my favorite EMUs yet. 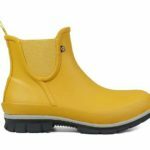 Both are waterproof and made to function in cold, wet weather. 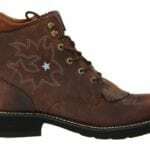 They’re perfect for the Pacific Northwest where I am, but because they are short boots, I love them for travel. They won’t take up half your carryon, but you’ll be warm and look great.